Hello ladies!! Every woman, a makeup freak or not, desires to have flawless skin. This wish is not a big deal for many of us in our younger days when our skin is not subjected to pollution, stress, bad lifestyle. But with advancing years we are subjected to EACH of these nuisances, our skin starts showing imperfections. Dark circles, spots, pigmentation: we now see all of these on our precious faces :’( Although treating these flaws internally (by change in lifestyle and food habits) is the best way to tackle them, sometimes we don’t have that much time to offer and want an instant solution (Especially on special days like weddings, anniversaries or even to look polished at work). 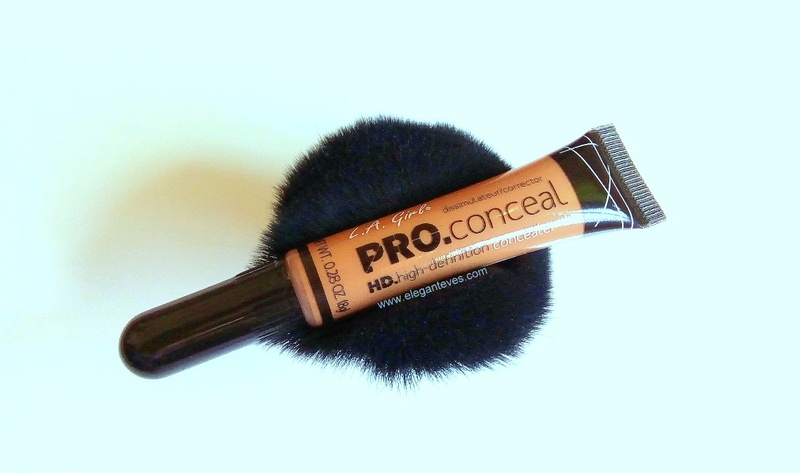 This is precisely where CONCEALERS come into play! This is the first concealer review on Elegant Eves and we thought of starting with one which is hugely popular worldwide! Read on to find more! Shades available: There are 24 shades available to choose from this range along with an orange, a green and a yellow corrector! You just cannot go wrong with the shades. You will find one for yourself for sure! They are even known to be fabulous contouring products. You can use the darker shades for contouring your face and neck. 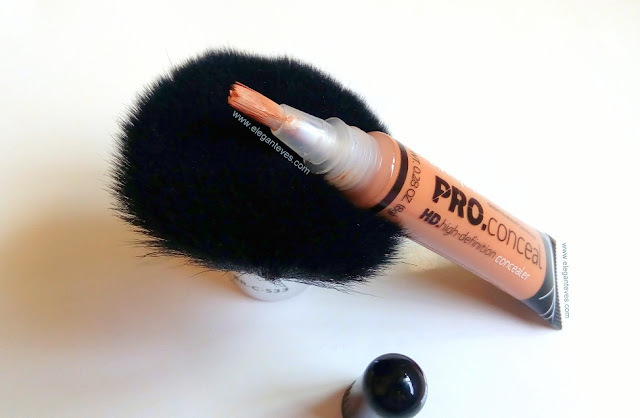 Packaging: The cute and handy concealer comes in a squeezy tube with a brush applicator. A gentle squeeze would bring out the desired amount and the brush can be used to directly “dab” the product on the skin. Fingers or concealer brushes can be used to blend the product in thereafter. 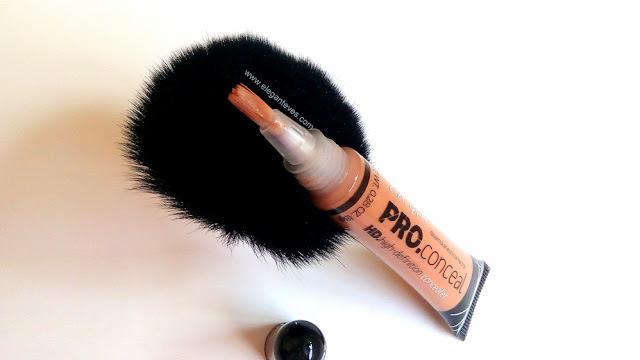 Coming to the texture, the concealer is liquid and almost runny. 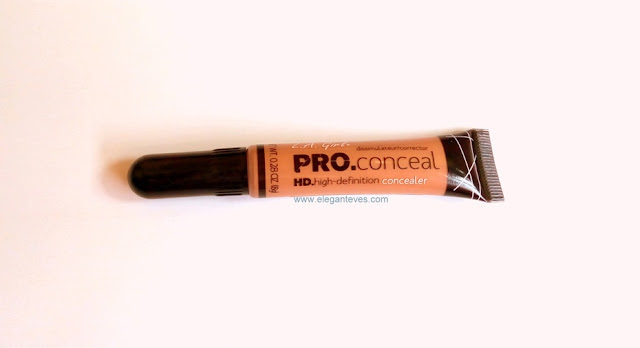 I like my concealers to be liquid rather than creams or pancakes, because they offer the most natural finish. 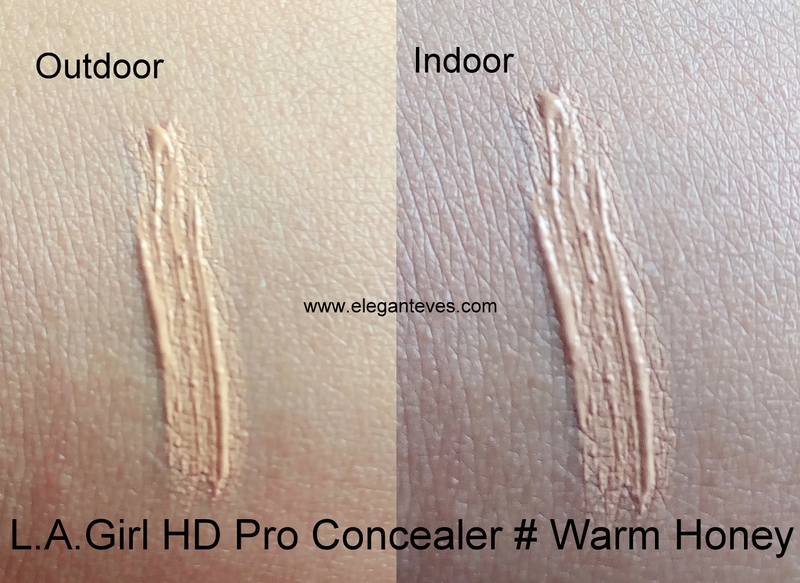 Same with this one, it blends in seamlessly and there is no “layer” of product under your eyes. A few “swishes” of the product under the eyes and a light “dabbing” with the pad of fingertips and am done! 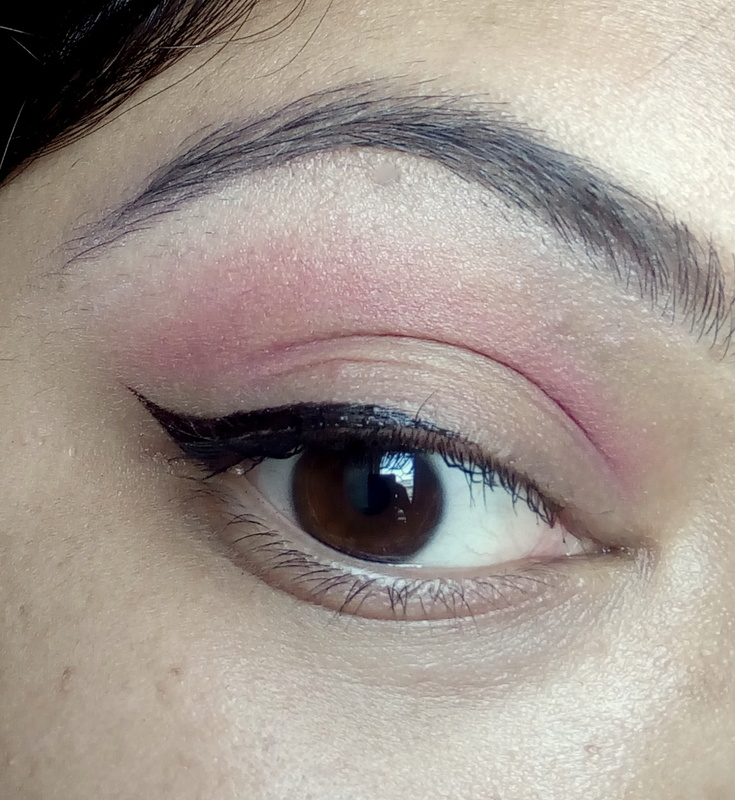 One thing to remember though is that you should always set your liquid makeup with some powder. I choose to use “Lotus ecostay face powder” with a fluffy brush over the concealed areas lightly to avoid creases over time. Make sure to use the brush very gently so that you don’t wipe away the concealer! 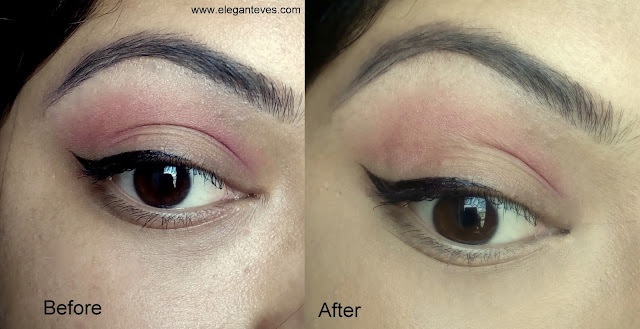 Have a look at the eye swatches. The first pic is my eye without anything applied in the under eye area. Then I have applied Warm Honey and topped it with Lotus Ecostay compact powder. Notice that the bluishness towards the inner corner of my eye has disappeared.